I started to work with WebGL a few months ago. WebGL (in case you never heard about it) is a new emerging standard for rendering GPU accelerated graphics in the browser, without any plugins. Not all browsers support it yet, but the latest Chrome and Firefox do and others are about to follow (Safari, Opera, sadly not IE for the moment). Nice work, keep it coming! Great stuff! 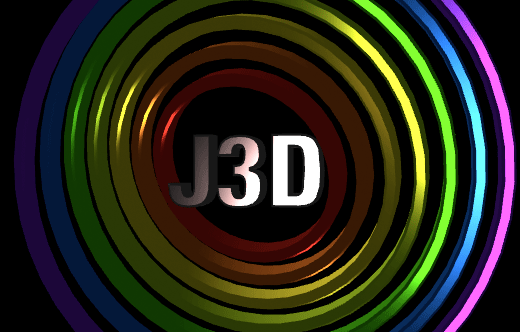 What’s your opinion on three.js? When I click the first picture I get just white blank window, on clicking the second pic I get only the checkboxes. Why? @tommekkie depends on what browser you are using. I didn’t add any warning in case your browser doesn’t support WebGL (but I will do it some day). For the time being make sure it’s Firefox 4 or latest Chrome. If it still fails, go here and send me whatever you see there: http://alteredqualia.com/tmp/webgl-maxparams-test/ along with your browser version and OS. Thanks. Thanks for reply. Unfortunately I can’t see anything more than a black line of text on the top on both Firefox 4.0 and Google Chrome 10.0.648.205 on Windows XP Professional SP3 system, Nvidia GeForce 9500 GT graphic card. The same situation as tommekkie Firefox4.0 + WebDeveloper plugin can see only the checkboxes, when testing WebGL only “WebGL MAX parameters test” text appears on white bg. Thanks, I could find the solution neither in config nor google, but getting the new card drivers helped(I have bought the card almost 3 years ago)and now I can see the demos and they are great. Where can i find the J3D API or more documented bibliography ??? @Scientific Visualization Programming I agree with you but theres only so much things I can do it a day so no documentation. However, if you, or anyone else, is willing to look into that and contribute to the project it would be awesome!